You’d be surprised how much there is to a well made vodka. By definition it is a neutral spirit made from anything that can be fermented and distilled. The goal is to be tasteless, odorless, clear, and pure. Then the spirit is cut with water before bottling down to a reasonable drinking percentage. We do not make a lot of cocktails with the stuff but for ages it has been the best selling spirit in the world (whiskey is catching up though). I keep a good bottle of vodka around for guests who ask for it. I also drink it on the rocks when I just want a simple drink in the easiest sense of the word. I put it in Bloody Marys and I sometimes drink it on airplanes. I use it to liven up a punch or liven up anything really. I use it for quick infusions. I use it to clean. Put it on a cut to sterilize or rinse out a bottle before filling it up. You should keep some vodka around. 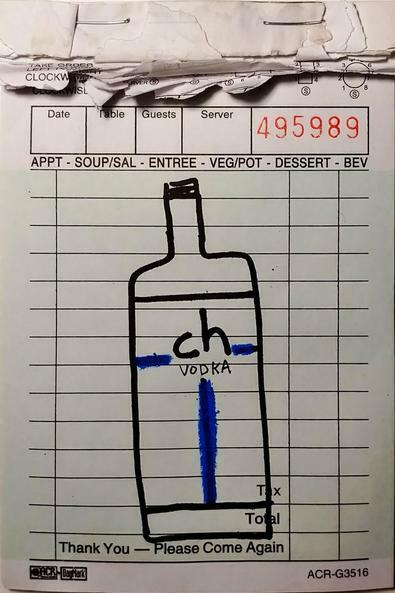 CH Distillery Vodka is my pick. It is made right down the road from my Chicago apartment and they are great people making great vodka. I do also like to keep a bottle of Purity around but for making cocktails that can be a touch pricey. Russian Standard is a great utility bottle for drinks and I have been known on more than one occasion to enjoy a Stoli and grapefruit at a wedding or hotel bar.